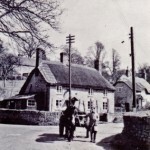 Yarlington – the name is believed to come from the Saxon “Gearlingtu,” – meaning the place of Gerlin, or Gerla, is a tiny dairy farming hamlet, of mellow Ham stone, tucked away in a valley on a lane to and from nowhere and has probably been there from the dawn of history . Despite its tiny population, the village supports a church- village hall and a very popular pub , The Stag’s Head Inn . The village runs numerous events including the Autumn Fayre and the Yarlington Fringe Festival of Alternative Arts in late Spring . The area is, of course, thick with Arthurian myth. Cadbury camp – legend has it the seat of King Arthur’s Camelot, is a couple of miles away and the sillouette of Glastonbury Tor fringes the horizon . 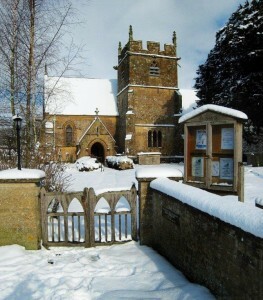 The church, dedicated to St Mary the Virgin, was renovated in the high noon of Victorian England in the 1870s. Although our records of Incumbents only go back to 1314 – ( it is sad to see how quickly we got through Rectors during the Black Death- four in two years!) 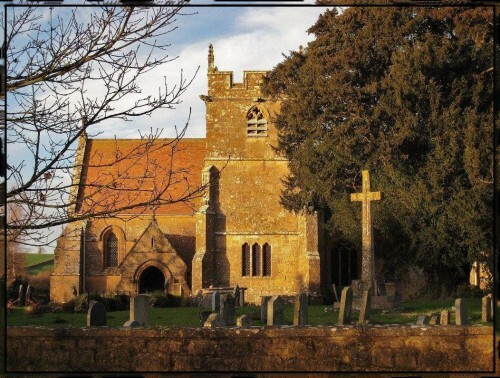 the more ancient origin of the church is confirmed by the grant of the manor in the 12th Century to the Cluniac monastery at Montacute, which recites the existence of the church. At first blush the Victorian nave looks a bit uninteresting. On closer inspection, though, layers of antiquity emerge. The tower is plainly much older with its gargoyles and medieval carving still intact; indeed, the church was re-built by Warwick the Kingmaker in the 15th Century and the tower is 11th or 12thCentury. And then the arch from the nave into the tower looks suspiciously older still – its shape Saxon and survives from an even older tower. Then there is the stone sargophgus leant up against the churchyard wall. This is typically Saxon and was excavated from the nave floor during the Victorian renovations.It was almost certainly the grave of a local bigwig, possibly even the founder of the church – perhaps even the grave of Gerlin! The Domesday books records Gerlingtunas held by one Alnod and being about 1000 acres in total. Alnod was, of course, promptly dispossessed and the manor given to the Earl of Morton, the Conqueror’s brother-in-law. It later passed into the hands of the Montacute family after Mortons sided with Robert Curthose, Duke of Normandy, in his contentions with his cousin Henry I. Ownership of the manor estate descended through various families ( including Catherine Parr) until it was broken up during the last War . 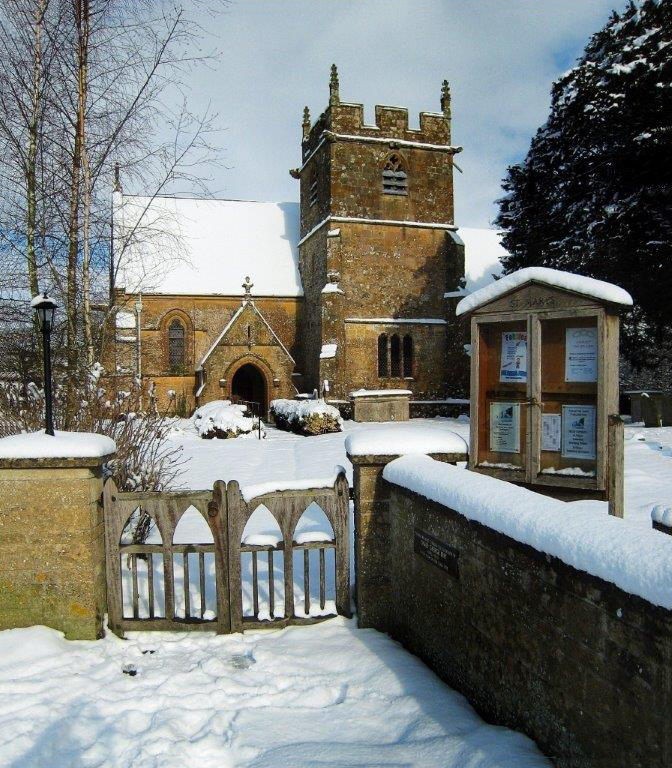 The Rector during the Victorian era, T.E Rogers, wrote an extremely thorough history – “Records of Yarlington”. For those who are interested , the book is available to read here. 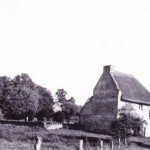 Originally, the ancient manor house stood next to The Church , the two surrounded by a lake and moat- all that remains of which today is a pond. Over the years, the manor fell into disrepair and was eventually pulled down after the last war. The valley was , in medieval times , dammed and a series of carp ponds fell all the way down the valley , fed by the spring of the river Cam which still gushes out of the hillside as though a main drain has burst. At the bottom was a Mill, also recorded in the Domesday book, from which the famous Yarlington Mill apple – a key cider ingredient, takes its name. There is a well-attended Wassailing ceremony which takes place in the Yarlington pub, The Stags Head Inn to hail the apple and its fruit. The manor was replaced as the principal house in the late 18th Century by the then new owners of the Manor, the Rogers family, who built a new house on open land above the village – the present Yarlington House . 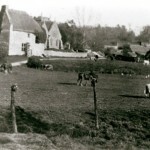 At the time this new site was a bare field and the story is told that George 3rd, travelling at that time on his way from Weymouth to Longleat along the lane at the bottom of the park, (at that time the main road- as one can infer from the cottage further up which was plainly a toll house ) saw the construction and remarked to the owner, the new squire, “ Hah, Hah ! A bold man, to build a house there !“. Yarlington held a very large agricultural Fayre for the best part of a millennium – perhaps longer – said to have been the largest in the West Country. Simon, sixth Baron Montacute, was granted a formal licence (which still exists on the Rolls) for a “Mercata Feria” by Edward II in 1315. It became notorious for a well-reported incident in which a Mr Robert Atweel sold his wife Anne for five shillings in 1789. She was delivered to the purchaser, a Mr Thomas Wadham, as was customary, on a long cord and Mr Wadham promised her “good keeping”! Clearly the enlightened ideas of the age had not percolated through this part of Somerset. Although it was not uncommon for men to sell their wives at such occasions, the publicity given to this incident almost certainly means it was this which inspired Thomas Hardy for the plot of the mayor of Casterbridge. 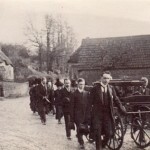 The fayre ceased as a commercial enterprise in 1900, being transformed instead into a much loved village event which now takes place every two years and is held in the lovely grounds of Yarlington House .